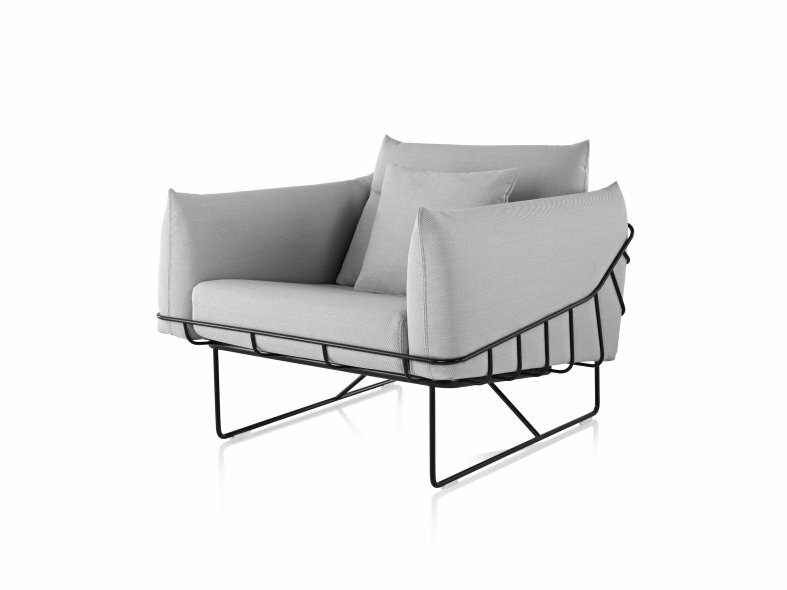 The Wireframe Sofa Group exemplifies a recurring theme for Sam Hecht and Kim Colin: contrasting tension. 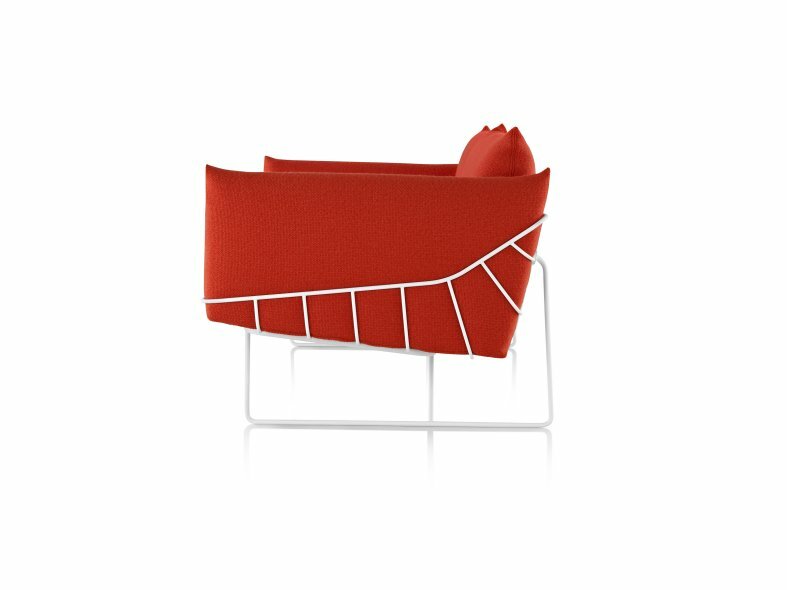 The design's external structure is shaped from steel wire - a material long used in classic Herman Miller designs for its strength and durability. 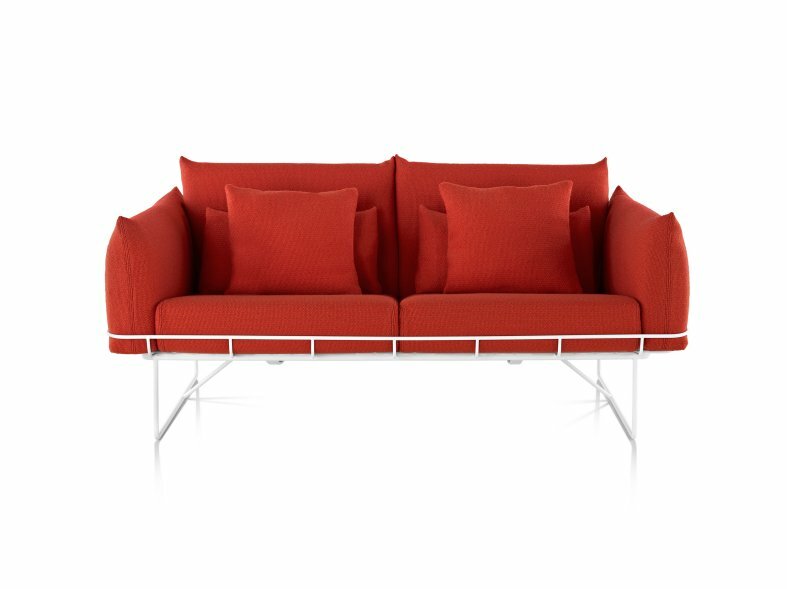 Held within the frame are contoured cushions, which find added comfort from a suspension technology first developed by Herman Miller for the healthcare industry. Lightweight and in various sizes, the versatile seating shifts with ease to meet the evolving needs of a space - and the people that work and relax in it. Casual yet sophisticated, contemporary with a sense of longevity, Hecht and Colin's design is thoughtful reflection of how we live today. Choices include white or black frame with multiple upholstery options in two - and three-seat sofa, and lounge and ottoman.